ArtsMinds is a collaboration between BAPAM, Equity, The Stage and Spotlight – four entertainment industry organisations that between us reach thousands and thousands of performers and creative practitioners working across all art forms. The trigger for the project came with a series of suicides from within our community which resulted in a call for some kind of action. The four of us came together to consider how we might support people in our creative industries who are dealing with emotional stress and mental health challenges and the result is this resource hub. We also hope ArtsMinds will encourage more people to talk about their situations and go some way to help raise awareness.Our starting point was to try to uncover the scale of mental health issues within our industry by putting out a survey to our member and networks to which more than 5000 people responded. The majority worked in theatre (81%) but television (57.69%) and film (54.81%) featured strongly and a wide range of areas of work was represented, for example 21.7% music, 12.38% dance, 11.36% variety and 8.14% in modelling. Interestingly, although 1178 respondents said mental health problems had impacted on their career to a greater or lesser extent, nearly 85% of respondents had worked within the past six months, going some way to bust the myth that people with mental health issues are unemployable. In fact we all probably work with someone with a mental illness. The main issues that came out of the research are the ones we have included in this new information hub and each topic has a collection of links to sources of help and advice. ArtsMinds is not a static site, we will add more information as we go forwards and new stories relating to mental health from the entertainment industry. Our hope is that it will be of help to individuals but that by further opening up the subject of mental health in the arts, some of the stigma will dissipate. 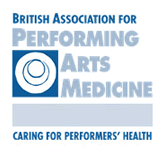 The British Association for Performing Arts Medicine (BAPAM) is a healthcare charity giving medical advice to people working and studying in the performing arts. BAPAM helps you overcome (and preferably avoid) work-related health problems, and we are dedicated to sharing knowledge about healthy practice. The UK trade union for professional performers and creative practitioners. A campaigning, caring and organising union we are proud of our strong record of making things better for professional artists. Members are at the heart of all Equity activities and they drive forward the work of the union. The Stage provides news and services for the entertainment and performing arts industry. Established in 1880, The Stage is a must-read for anyone working in the theatre industry in the UK and beyond, offering news, reviews, interviews, advice and more. Each month 500,000 people read The Stage across the website and its weekly newspaper and use the job site. Spotlight is the UK's leading casting platform, connecting professional performers with the most influential casting directors across the UK and in Europe. 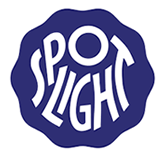 We are passionate about helping each performer on Spotlight establish and maintain a successful career, and alongside having access to the best roles in television, film and theatre, we provide our members with regular career development opportunities and tailored, supportive advice.